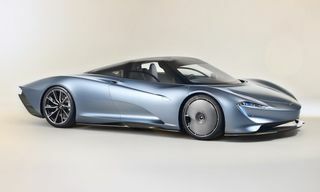 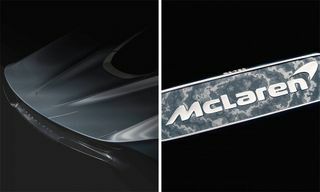 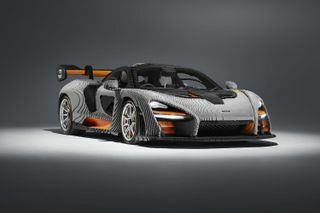 Last year, McLaren unveiled a $400,000 carbon fiber theme Senna limited to 500 units. 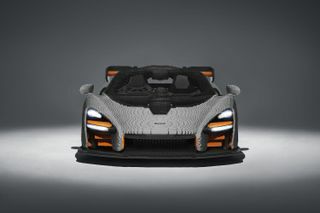 Now, LEGO is one upping that variation by unveiling a full-scale Senna, made of LEGO pieces, as part of its auto racing-inspired LEGO Speed Champions series. 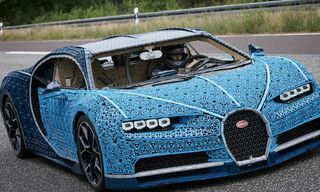 In 2017, the company built a life-size 350,000-piece Ferrari F1, and last year, a drivable Bugatti Chiron using more than one million LEGO pieces. 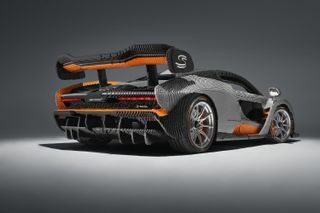 In addition, this LEGO rendition of the McLaren Senna is the first to incorporate interior parts from a real car such as lightweight carbon fiber seats, steering wheel and pedals from an actual Senna model, along with the addition of McLaren badges and Pirelli tires, while the rest of the detailing are from LEGO. 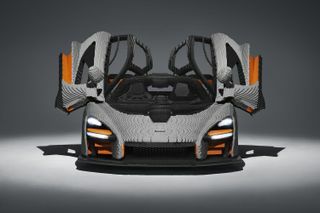 On the outside, the life-size LEGO Senna flaunts a combination of “Victory Grey” and orange blocks, which is the same color combo utilized for the 219-piece toy model Senna that’s in LEGO’s Speed Champions line of kits. 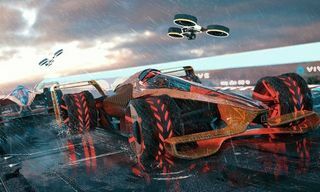 If you’re interested in seeing this amazing life-size recreation in action, fans will be able to get up close at a variety of events throughout this year, including the Goodwood Festival of Speed in the UK in early July. 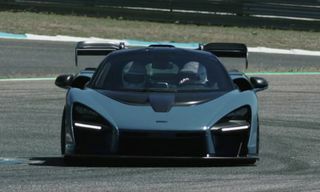 Learn more about creation in the video below.